LSC Lighting Systems will have the latest Clarity LX consoles out in force at this year’s Pro Light + Sound show in Frankfurt, Germany with consoles on show on both the LMP Lichttechnik booth (11.0, B60) and Pro Systems Group booth (11.0, B44). Although having already been in the market for the several months, this is actually the first international trade event in Europe where the production model LX600 and LX900 will be seen. 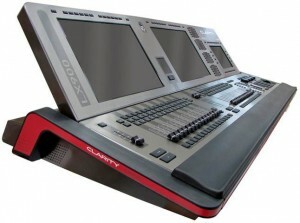 These consoles, as well as the LX300 feature version 2 of the Clarity software which is now common across all Clarity products including the PC and Mac software. Audio fixture - Control audio with fade times and mode control; Reworked fixture library for better control of non-linear compound fixtures (eg. Mac Aura, Robe LEDwash, ClayPaky A-LEDa, etc); OSC protocol for remote control via Android and iPhone/iPad. Also on the LMP booth, customers will be able to see and play with Clarity V2 software and VX-Wings, the MDR DMX Splitter range with optional RDM, the NEXUS product family offering bi-directional Ethernet/DMX512 converters and the Redback Wallmount dimming solutions. Gary Pritchard, Pete Floyd and Richie Mickan from LSC will be in attendance.